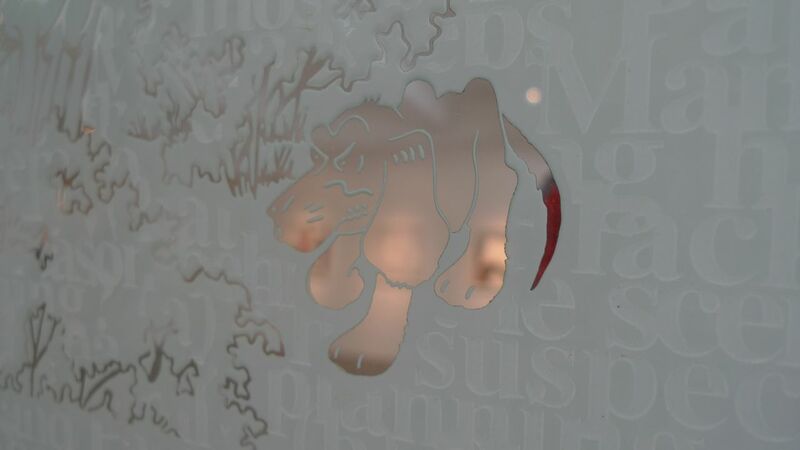 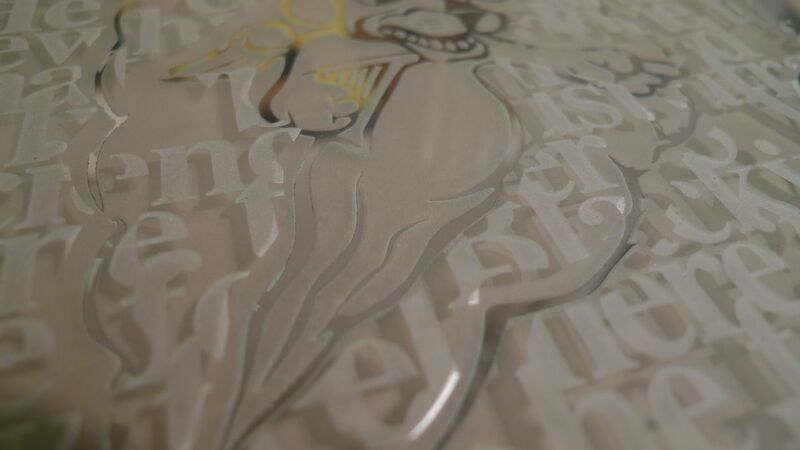 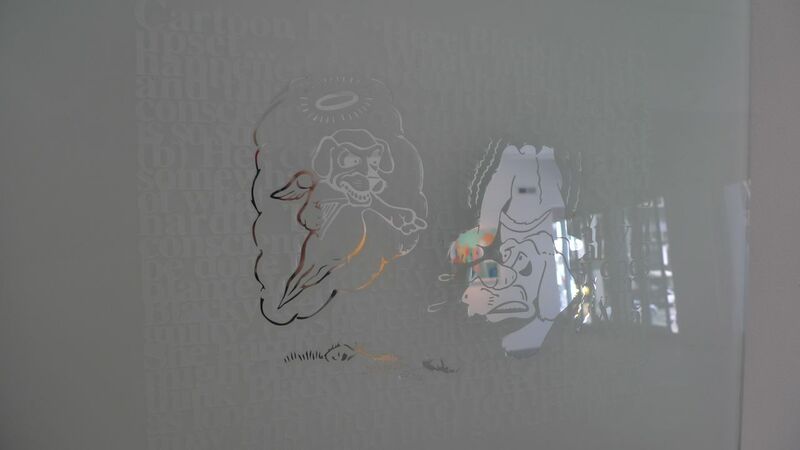 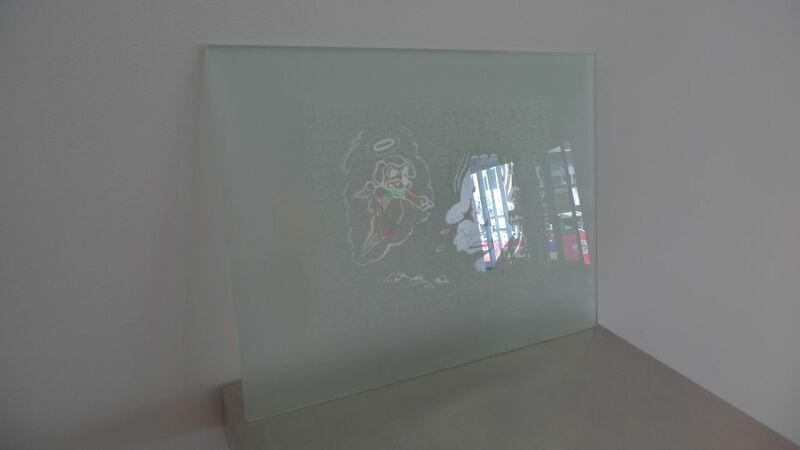 For our 1998 exhibition of The Adventures of Blacky at Patricia Sweetow Gallery, we created a series of mirrored glass panels, etched on both sides. 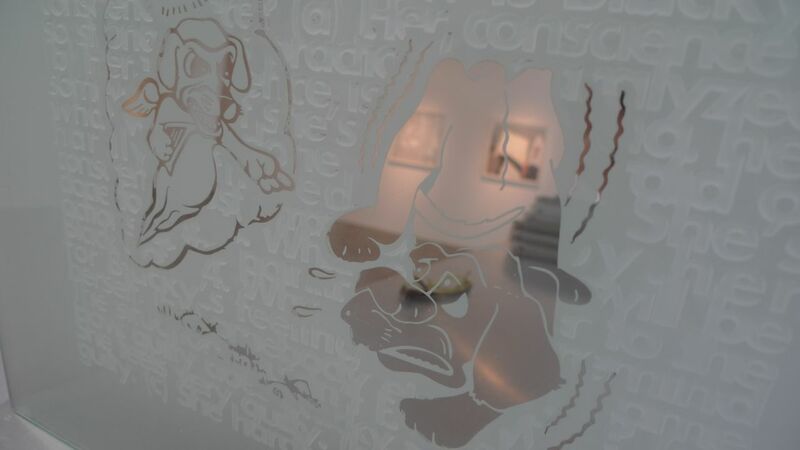 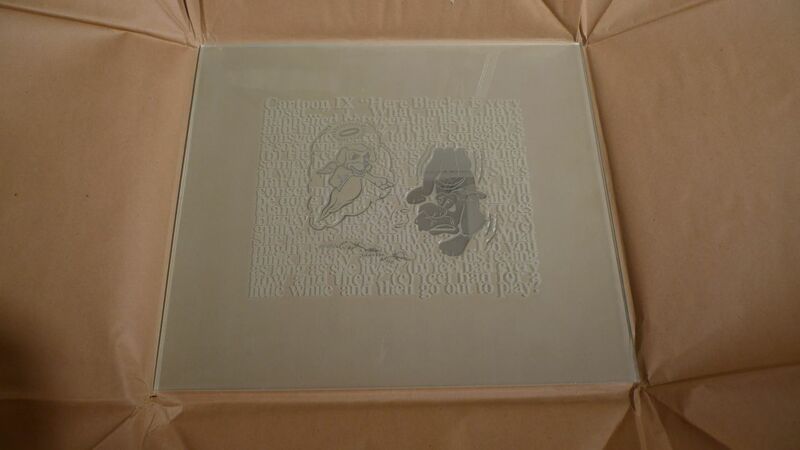 The figures of Blacky, Tippy, Mama, and Papa and their environs are rendered in mirror, which has been etched in relief on the back of the panels; the text of the Blacky diagnostic questions have been etched onto the front. 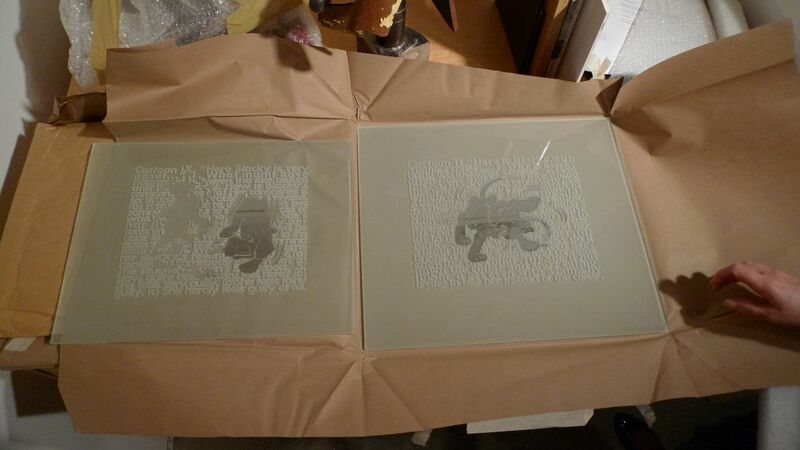 Pat still has them, tucked safely away in a flat file. 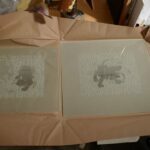 We pulled them out for a quick look last week. 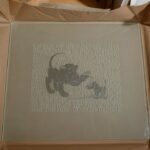 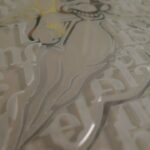 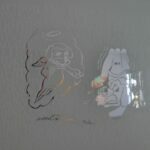 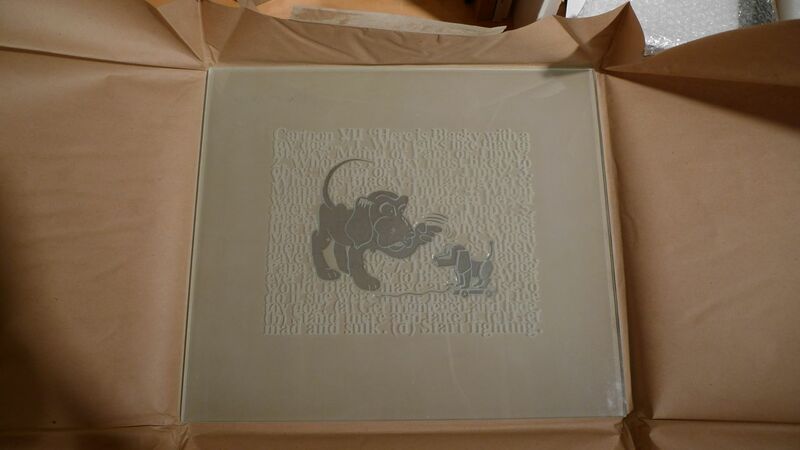 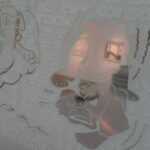 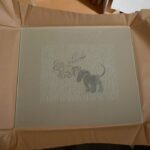 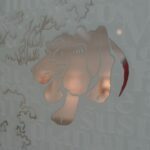 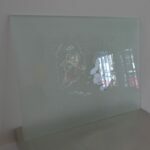 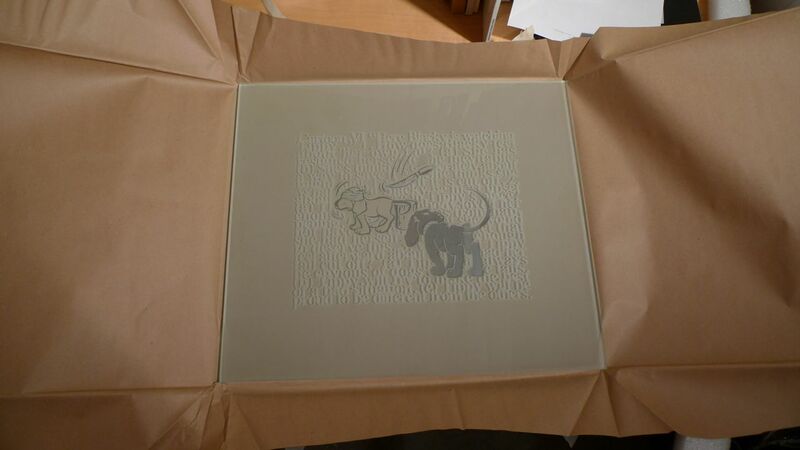 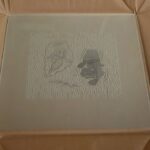 One Comment on "etched glass panels for The Adventures of Blacky"